Guangzhou has so many special markets for handbags, jewelries, watches, clothes. When you go around at these markets, you will see different colors of people from all over the world. 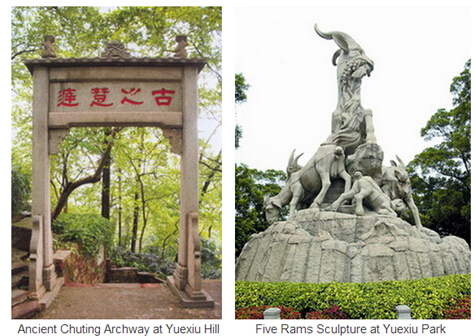 Bai Yun International Leather City is the most famous one among foreigners. It is located at the JieFang North Road (close to Guangzhou Railway station and zhanxi Road - another busy wholesale area), there are many buildings selling handbags all together at this area ( includes Gui Hua Gang Leather Markets at the opposite of Baiyun leather city). You will find one building after another, it is the largest leather markets in guangzhou or even in China. People all know that, you can find copies of great brands here. (Chanel, Prada, Hermes, Fendi, Celine, Balgari, BV, Dior), so once you arrive at this place and get off the taxi, you will be surrounded by people keep asking you if you want to buy brand bags, they will ask you to go to their office. These people are like brokers. They usually take people to different shops and take commissions from buying. Because buying copies is illegal, so usually they have secret offices and storeroom on this buildings, but from their shops, you can easily see brand models without brand name on it. Floor 1st to 3rd are for shops. There are so many quality levels of brand bags at this market, grade A, grade B, grade C, or some quoted as “ original edition “, as a result, price can be very tricky. Price ranges from 300- 600RMB for grade A brand bags. This is normal price. For “ original edition” (original leather material), price can go like 1000-3000RMB. Of course you need to bargain hard at this crazy price. The sellers they know very well how to do business. They usually ask you to pick up all styles you are interested in first, it gives them better chance to close the deals. Try to bargain start from 1/3 of the price, don’t easily go backward, once you step backward at a first “NO” from them, they will keep asking you to give better price. You have to stay firmed. People are buying at price from 600-800RMB for “original edition”. Other than copies of brand bags, you will also find good quality of handbags of non-brand here, accordingly, price is a little bit high (hundreds or up to thousand). You will also find brand copies of shoes , jewelries, kids clothes, glasses here.